We’re back in rest & recovery mode; I have put in a little groundwork time, some attention to Faygo and even got one of the farm horses out for another fitness ride so he’s ready when ‘mom’ returns to ride him this summer. Oh- and I’ve gotten some gardening and paperwork done too! 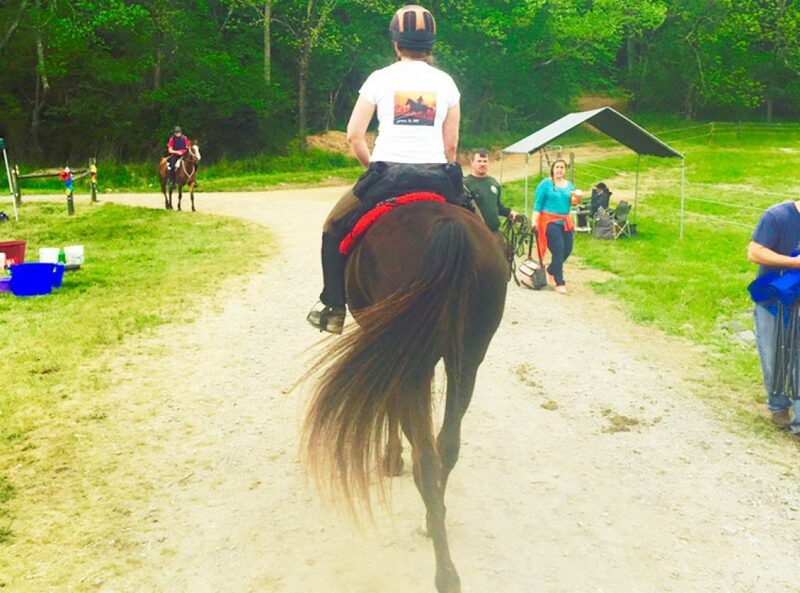 The highlight of our rest week by far was going back to Foxtrot Farm for our Jedi training with Pam. We began by checking in with my groundwork which is coming along but those small things that are the big things (how high my arms are and the angle my body is when I ask) are still needing outside eyes. Don’t bring your energy up until you’ve passed her shoulder… You’re too close to use your rope effectively… Here- give me your hands… Like this. I am convinced my horse (and all the horses in world) are perfect in their ability to be a horse. It is my job to get better and functioning in their world. I am still amazed when I get better at my communication how immediately better my horse is at doing the thing I want. We finished the session by working on very specific use of my leg. Now I live and ride in the country. 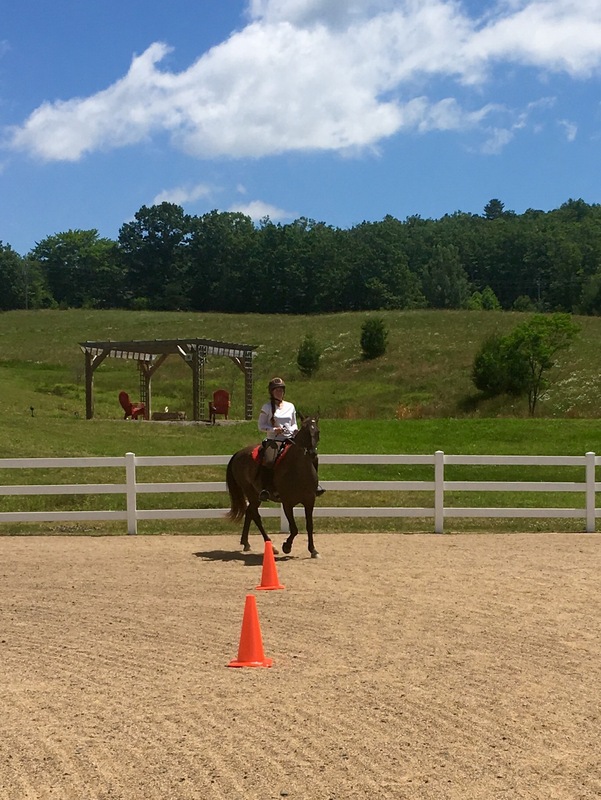 I can open any gate on my horse by asking her to step over and move her hind and on the trail I can get her to move over- but somehow when we are moving, the precision of CROSS THAT BACK LEG OVER THIS INSTANT is muddled. I struggle keeping her on the rail at a trot which is also a product of my legs not speaking very clearly in motion. 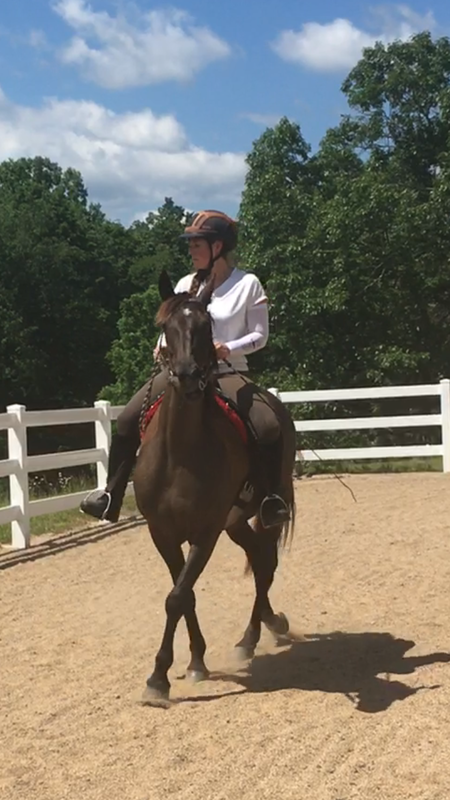 We got a lovely cross over in the walk and then turned it into two or three beautiful trot on the rail loops – and called it a day because it worked so well. She was perfect. What I did to ask made sense. If I am having trouble with my horse and not getting what I want it must be one of these: horse does not understand what I’m asking; horse is in fear and cannot think; horse is trying to tell me something is wrong (pain from equipment? ); horse does not respect my leadership and does not want to be my partner. 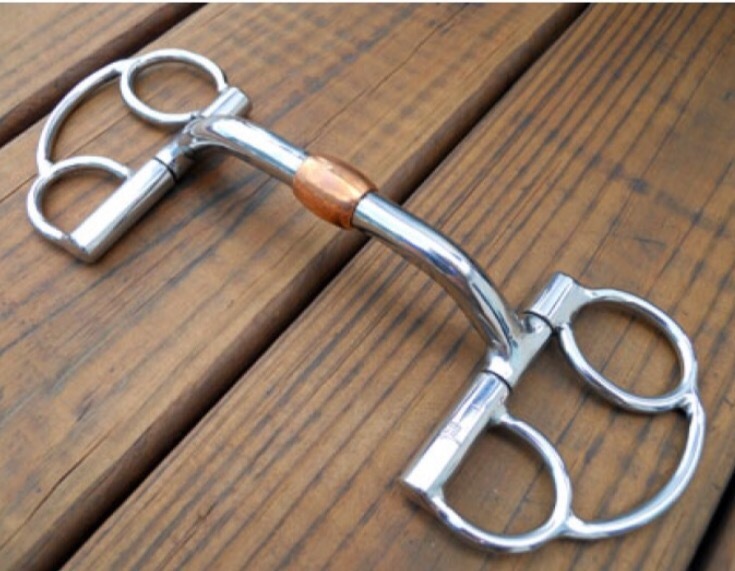 Speaking of equipment issues: I gave up on the traditional snaffle but instead tried the Phoenix Rising transition bit which has direct pressure communication similar to the snaffle but has the same mouthpiece she is used to and it worked like a dream. I love the feel and quality of their bits and don’t know why it didn’t occur to me to start here instead of the snaffle! I will be switching to that bit full time now in all of our riding to see how it goes. Of course I am working on the first problem horse does not understand what I’m asking because if that occurs that is always my failure. However I’ve been thinking a lot lately about the concept of leadership to my horse. I don’t want a soldier horse who only says “yes ma’am how high?” Sometimes when I hear people talk about getting their horse to respect them that is what I hear the goal to be. But on the other hand I don’t want a horse that doesn’t do what I ask because it’s just not clear or the horse doesn’t trust or respect my leadership. What I do hope for is a horse who enjoys my partnership (that is a two-way conversation, but not an argument or fight) respects and trusts me as a leader, she chooses me to lead. I have found in riding other horses as well this becomes really important: I need to immediately be a rider the horse can accept as deserving the lead role for my own safety. Universally horses know what qualities they will accept as a leader. Susan and me riding two of the farm horses. They are not worked with often and used to picking up passengers not working in a relationship with humans. It is a good learning opportunity for us. So what does my (or any) horse need from me to be her accepted leader? 1. Consistency. I can’t let my mood or my distractions change how I interact with my horse. I need to be the same human day to day and ask the same way for things. This for me does not mean a time schedule- I actually prefer not to come to the barn at the same time every day. My horses are not on a feeding schedule, they are interested in me no matter what time I show up and they are not stressed by a late feeding (they are on 100% pasture turnout so do not depend on me for feeding) or when I miss a day to visit altogether. 2. Unemotional. Horses will not respect an emotional leader. Herd leaders are not emotional. This means I am not allowed to EVER get angry, frustrated, fearful or even too excited. Fair and balanced is the key. So am I perfect? Of course not. I am not prone to fear and anger but if I’m not careful frustration can creep in. I know now that any moment I allow myself to go to any of those emotions in an instant I have failed my horse. Horses will show disrespect to a leader who gets emotional- sure you have good reasons for a fear response and it can be easy to get frustrated when things aren’t going how you think they should- but you do not get to explain that to your horse. Bottom line at that moment is: you are emotional and cannot be trusted. That is all they know. The horses will learn it can refuse you or that it can push your buttons. No matter what, the horse is being a horse. It’s your job to act like a leader- then you are one. As for excited this was a good aha for me- I’ve learned that release to a horse is letting the energy and tension go away. That is the peace they seek. If my horse does something well and I get excited I have not released my horse. Makes sense for the human to ‘celebrate’ but to the horse it’s confusing. 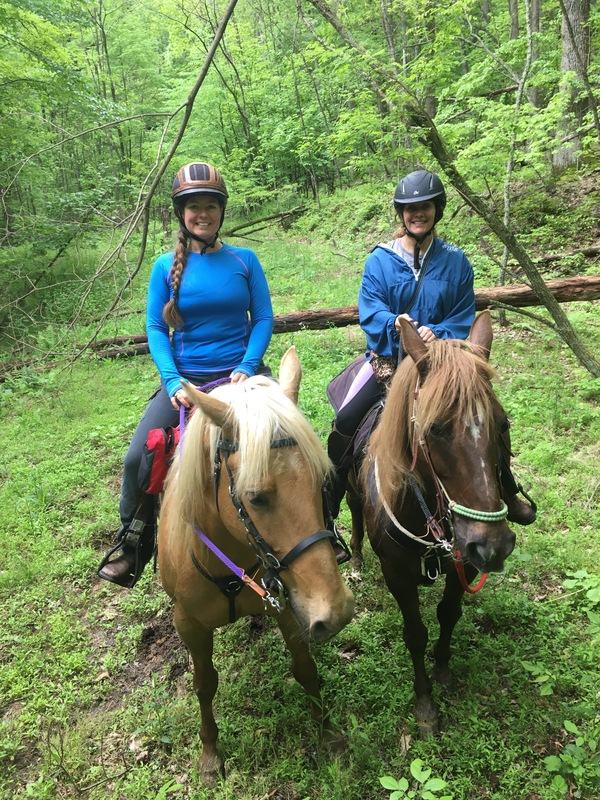 This is in learning particularly – I will certainly say after finishing the OD50 I had excitement and adrenaline in my body as I got off and rubbed her neck and told her proudly job well done girl! But I do keep the tone more low key than I might had I not understood the concept of energy and horses. I’m speaking to Pam and Khaleesi’s job is to stand quietly and not eat. There are times she can eat and times I ask her not to. We have consistency in this communication- she can ask to eat and I will pop the rope (lightly) to say not now. She takes a bite of grass. I pop her with the lead “don’t eat”. We continue talking then eventually repeat eat-pop. A minute later same: eat-pop. That’s 3. She’s blowing me off so the next pop needs to mean something POP!!!!! She looks at me “ok I won’t eat.” Done. She stood quietly until we were finished. I was nagging her not to eat. This can happen with just about anything they already understand. They obey and then disobey. It’s a question of your leadership style. Try to notice when you nag and instead get it done. 4. Avoid boredom and frustration. These two things will create disrespect of my leadership. I don’t let my horse get bored. Change things up, when you accomplish something don’t keep drilling it right then, they are smart animals and need to switch their minds as well. Go back to it later if you want. Always ride the same trail? Go in reverse direction. Have you seen your horse lick and chew while you are working? That is a sign of them thinking not being tired or bored. Give them the time when they need it. Khaleesi yawns, licks and chews often. I don’t interrupt her processing and thinking time. I was doing some groundwork with one of the farm boys and had not seen him go into think mode yet – when he finally did it was a big breakthrough. He realized I would give him that time and we had a better connection immediately. Frustration also comes when your request is not clear to the horse so it can’t get the answer right or when we as the humans have bad timing. Horses think independent thoughts so much faster than humans and if you ask and don’t release in a way that is immediate to the horse (then allow them to go back and process) they can become frustrated not understanding why they don’t get a release. Since nothing they do is right they might as well stop trying. Speaking of release, Buck says it MUST be 100% release, not a partial release. Some percentage of release is not release to a horse. He believes a struggle in too many riders comes when they don’t release completely which can cause frustration which leads to a horse losing respect for the rider. 5. Never think in terms of winning. I am never at odds with my horse in my mind. We do not fight and I do not win when we do something right. I always consider us to be on the same team and always help my horse be with me if things are not working. A horse wants to follow a good leader – if this process isn’t working the first step for me is to ask where I am failing. What broke down? I can always assume my horse will behave like a horse. It is her job. It’s that simple. I never win- we succeed. 6. No force. This is tough because what we think of as force in humans and what a horse sees as force is not always the same. I am still working out this concept. One concept of force is anything that restricts her choice. So that could mean a lead rope or a fly mask…. 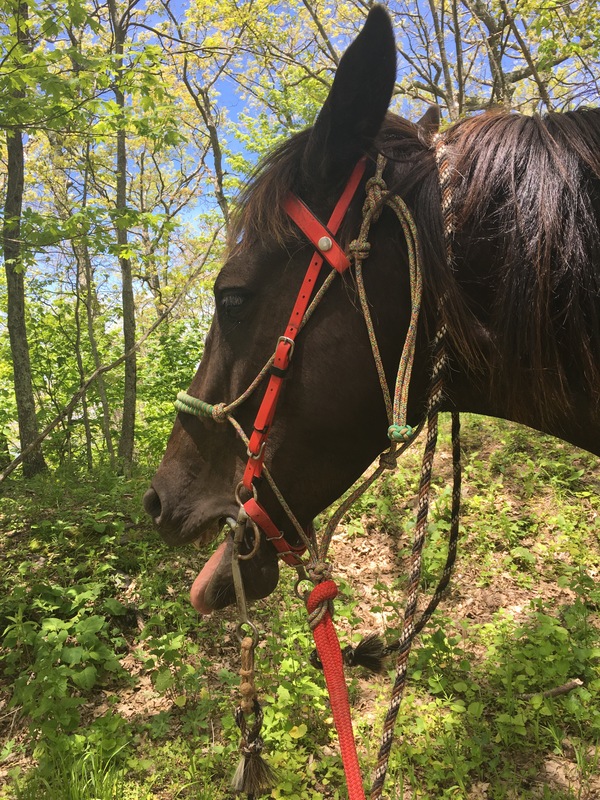 I use a lead rope but thankfully my horse walks up to me and lowers her head into the halter… I’ve put a fly mask on her and heard her tell me on no uncertain terms she HATED it. She walked right up to the fence and started banging her foot! (This I’ve never seen) I went back in and she let me quietly take it off and went happily on her way. So in those cases she had choice. Many of us well meaning humans take away these majestic smart beings choices with blankets and other helpful tools. I also learned this winter that Faygo is almost always ok with a blanket. Khaleesi sometimes is ok with a blanket (only with the worst weather coming) and she complies, other times she nips at me as I go to put it on her. I let her have a choice. It’s amazing when the horse knows you are listening how much they will talk to you. 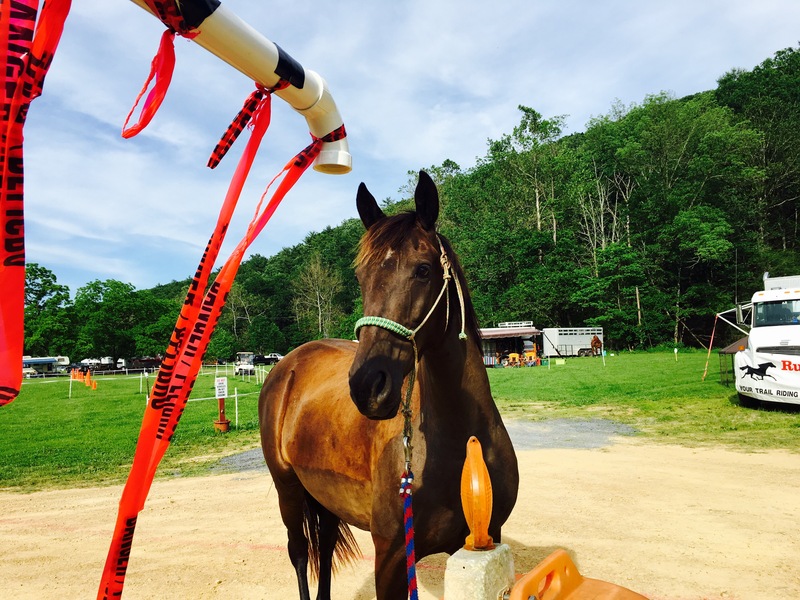 A horse trailer can be force- my horse does have a job and part of it is going on the trailer. Again, she gets on willingly so we are ok, but this is something she really kind of doesn’t get to choose? If she said one day ‘No thanks on the trailer.’ I would insist. Gray area. Still a topic I’m interested in sorting out. I’m reading a great book right now by Ray Hunt who continues to repeat that you must make what you want to do the horse’s idea. He says “set it up for them and let them do it”. One thing I have seen is when you prove yourself leadership material to your horse consistently, force and desensitization become non-issues. I do not intend to desensitize my horse, in fact I want her sensitive to her environment but especially sensitive to me. She is willing to do what I ask because I have proven myself. She doesn’t have fear issues because I’m not afraid. She doesn’t refuse my requests because she wants to be my partner. I wondered what she would think of the caution flaps blowing in the wind at ride camp. I calmly walked over and stood by them and since I wasn’t worried she was curious and came closer to check them out. We weren’t desensitized to flapping caution tape, but she only needs to be afraid if I am afraid. I just pretended they weren’t even there. With Khaleesi I’ve had almost 2 years to build this (though we’ve been in a good place overall from the start with it getting better as I learn) but my challenge is to be that leader when I am around or get on any horse. No matter what the back story, horses know leadership material. Just like the complete release, you can’t be kind of a leader most of the time- that fails the horse. Ray Hunt says: remember you are not working on the horse- you are working on yourself. I want to have the discipline to be that horse person.